My kids roll through different breakfast foods that are their favorites. For a while, it was oatmeal. It changed to eggs and then yogurt. They’ve recently been into pancakes. Lauren and I eat a low carb so it’s not something we really ever have or keep pancake mix in the house. Well, that’s no problem. Food author and commentator Michael Ruhlman wrote an amazing book called Ratio. 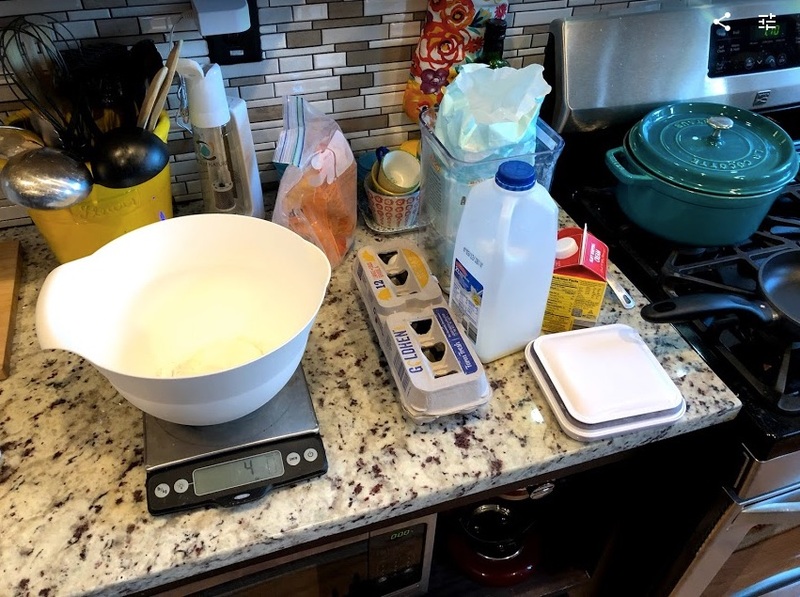 In many foods, there are common ratios that you use to make them. 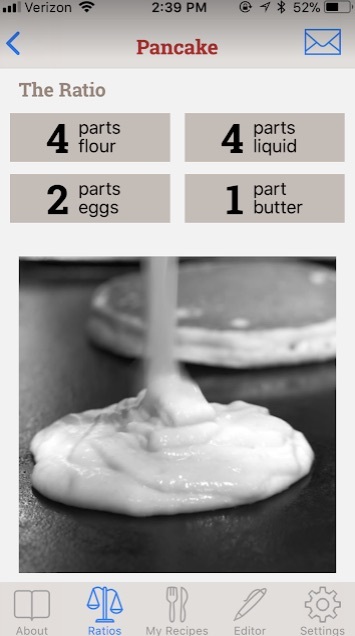 For example, pancakes are 4 parts flour to 4 parts liquid to 2 parts egg to 1 part butter. To make it even easier, Ruhlman has a Ratio app that you can use to pull up and calculate the output of the ratios, along with standard cooking instructions. I looked in our fridge and pantry and I had all of the ingredients. And it’s Saturday. I didn’t have anywhere to be. So, we made pancakes… from scratch. It was easy and the kids LOVED them.